As memorable as the premieres of the PitchNic films are for the Spy Hop Productions students each year, what becomes the most satisfying bonus for their creative efforts is the opportunity to see their new short films screen at film festivals across the country. More than 90 percent of the PitchNic films produced in the last 11 years have gone on to screen in more than 30 different film festivals nationally and internationally, ranging from Sundance to Los Angeles and to the Utah Arts Festival’s International Fear No Film program and the Westport Youth Film festival in Connecticut. This year’s quartet of films – a culmination of a 13-month process – will premiere on Nov. 6 at 7:30 p.m. in the Jeanne Wagner Theatre at the Rose Wagner Center for Performing Arts in downtown Salt Lake City. And like their predecessors, the student filmmakers for the 12th annual PitchNic premiere have pushed the bars of accomplishment even higher, fearlessly committed to presenting powerful imagery combined with compelling storytelling. This year’s films deal with topics that generally have adults stepping gingerly around the boundaries about how to discuss them among themselves, much less younger audiences. One documentary deals with the stigma Mormon missionaries face whose assignments have been cut short by mental illness while another is a culturally diverse exploration of death and the different ways in which individuals envision the end of life and the afterlife. The fictional treatments promise to be perhaps the most mature, sophisticated ever presented in the program’s history. One is an experimental rock musical about a teenager who has been admitted to the hospital for mental illness while the other is a genuinely engaging and appropriate comedy about a shy teenager who hesitates to come out at the new high school he has started in his senior year. For mentors Josh Samson, who worked with the two teams on fiction films, and Shannalee Otanez, who guided the two teams of documentary filmmakers, the year of preparation has proven to be among the most memorable in their experience. Samson says the students came together and supported each other “beautifully this year.” Otanez adds that she takes particular pride in having an all-female contingent for the documentary portion of PitchNic. “It has been a great year to see how the voice of women is growing through filmmaking,” she says. The mentoring dynamic, which is continuously cultivated in every Spy Hop program, is key to explaining why the PitchNic program is respected not just locally but nationally, especially among those offering after-school programs involving urban youths and the opportunity to develop media skills on a variety of platforms. Each year, the new class of PitchNic students start by attending the premieres in November, along with watching in class every single film that has been made for the program. Samson and Otanez ask many questions, encouraging students to say and justify what they liked or did not like about the films, and about what they would do differently. Later, once students pitch their film ideas, they are challenged even further to figure out how to make the storytelling work and to set the stage for making their films. The students present their pitches to a panel of film professionals, which helps narrow the selections to six project ideas and then the class ultimately determines the four projects that will be greenlighted for production. The students pitch the final projects to the public for funding during the annual spring benefit for Spy Hop. They spend the summer and early fall shooting, editing and completing a polished film that runs on average 20 minutes. It is at that point when all of the students, regardless of whatever project they are working on, bond and support each other. In fact, that bond is powerful enough where this year’s PitchNic films also will feature past students appearing as actors in some of the work. And, the films show just how students gain a broader confidence in expressing themselves most sincerely and credibly in their films. 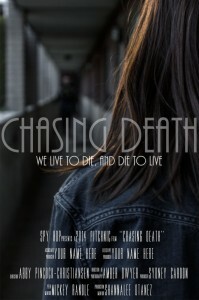 Although this topic – which touches on our broader cultural obsession with death and the possibilities of an afterlife – always makes for popular documentary treatment, the unique aspect in this short film comes through how the voice of individuals who are directly experiencing the culture of adolescence intersect with those arising in the larger culture of death, grief and personal loss. As today’s young generation grows up amidst the most culturally diverse backdrop of any in recent memory, the young filmmakers explore briefly yet quite extensively the different patterns and sets of cultural values that people use to understand death and communicate with those who lose a loved one. 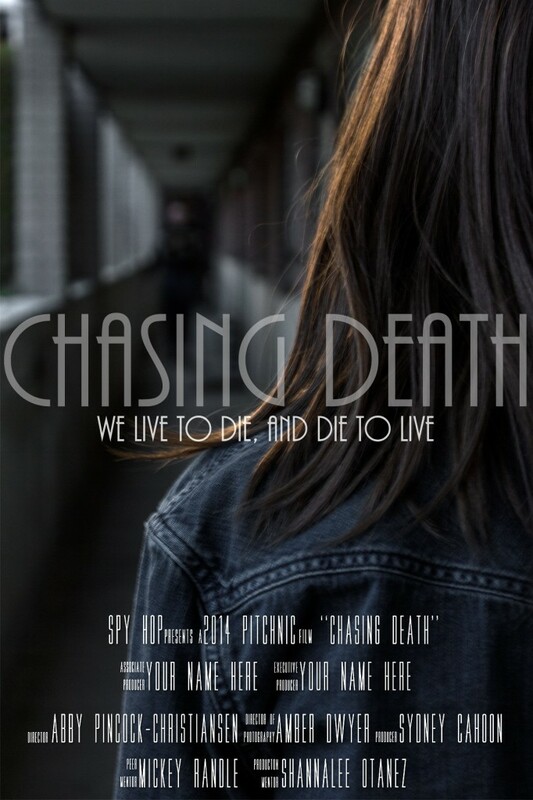 Chasing Death Trailer from Spy Hop Productions on Vimeo. Paying subtle tribute to the John Hughes comedies of the 1980s such as ‘Sixteen Candles,’ this team sets out a comedy with a substantive message about self-awareness and acceptance in a story about a gay teen who now faces, for the second time, the coming out process but now at his new high school during his senior year. Bryce, the protagonist, is shy and hesitant in his new surroundings even as he is encouraged by the openness and confidence of Nathan, a classmate in his new school who is out and well liked. The other characters in the story round out the scenes in the short comedy, which play out over a couple of months in the school year leading up to the homecoming prom. The school hallway scenes pop with plenty of extras and the character and narrative voices sparkle with strong believability, thanks to the filmmakers recalling their still fresh observations from their high school days. The title too underscores this young generation’s willingness for cultivating accepting environments. Bryce has worked at the pastry shop owned by his father, who is accepting and unconditionally loves his son. 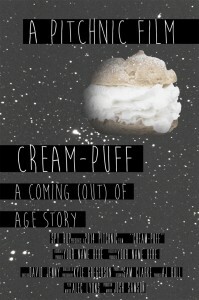 Cream Puff Trailer from Spy Hop Productions on Vimeo. An experimental rock film, featuring original music from Spy Hop students in the musicology program who are mentored by Jeremy Chatelain, is one of the most enterprising fictional entries ever realized in PitchNic’s 12-year history. Working within the boundaries of creating a 20-minute film that tells as complete a story as possible, the filmmaking team worked long to streamline a story about a teenager who has been committed to a psychiatric ward and is taking medication but is increasingly perplexed by the blurred lines of reality and fantasy that surround him and his fellow patients. Metos says ‘Going Mad’ represents his generation’s take on the classic ‘Alice in Wonderland’ stories which abound in references to schizophrenia. In fact, there is even a neurological disorder that is defined by how an individual distorts visual reality in observing objects, often the result of hallucinogenic drugs and psychotropic medications. 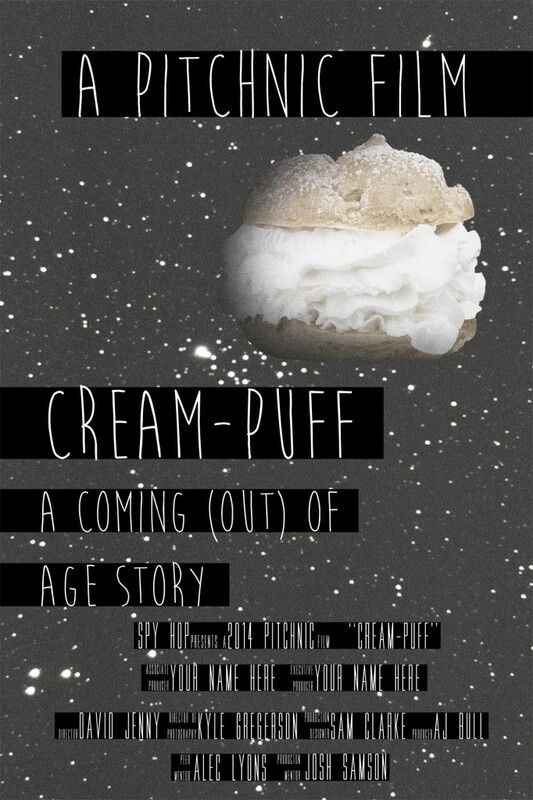 The fictional story line has a strong realistic feel from the viewpoint of these young teenage creative voices. Rising above the surreal setting is the larger question about how an individual’s social and cultural beliefs matter in his treatment for mental illness and to what extent should medications be used especially for younger patients. To what extent should a young person’s sense of reality be compromised? The film clips along at a good pace with original songs lasting mostly between two and three minutes that carry the musical’s script, written by Metos and Tipton. The team also built production sets from scratch including the hospital room for Alistair, the main character, which features plenty of gray and blue hues. 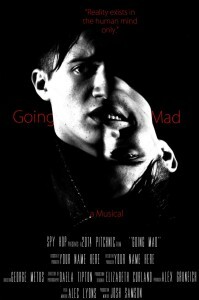 Going Mad Trailer from Spy Hop Productions on Vimeo. The willingness to discuss issues of mental illness, much less social anxiety or panic attacks, openly is difficult in many circumstances but the stigma takes on even greater burden for those young missionaries for The Church of Jesus Christ of Latter-Day Saints who return early because of such problems. Yet, the young documentary filmmakers who continue the PitchNic tradition of never fearing to take on even the most sensitive topics in their work have accomplished to give a humane ear and voice to a problem that clearly is not an isolated occurrence. The film features interviews with two prospective missionaries who could not complete their training in Provo prior to leaving for their assignments and the heartbreaking account of a mother whose son committed suicide after cutting short his mission in Mexico. Only recently has the topic come into more prominent focus. Last year, a student research team in the Utah Valley University’s behavioral sciences program working under the direction of faculty member Kris Doty found that more than seven out of every 10 men and women who return early from LDS missions, whether because of medical or mental illness reasons, experience a profound sense of failure. The students, who shared the results of the research with the LDS Church and are planning to have their work published in journals, conducted a survey with 348 individuals, of which more than one-half indicated they were either poorly treated or ignored by their home congregations. 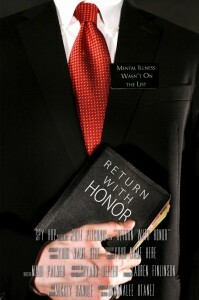 Return with Honor Trailer from Spy Hop Productions on Vimeo. Tickets for the premiere are $8 and are available here. Always amazed at how perfectly you articulate the raw truth about Spy Hop’s PitchNic films, students and process. Superb writing as usual! Thanks, Les!